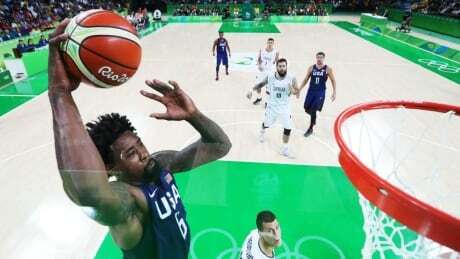 The United States won their third straight gold medal in men's Olympic basketball, hammering Serbia 96-66 in the final at the Rio Games on Sunday. 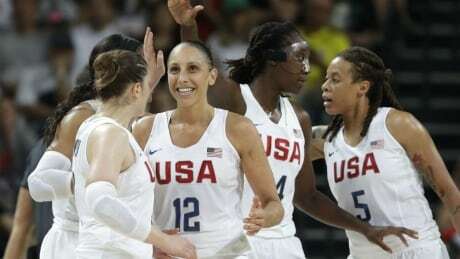 The dominant U.S. women's basketball team won a sixth consecutive Olympic gold medal in impressive fashion, routing Spain 101-72 on Saturday. 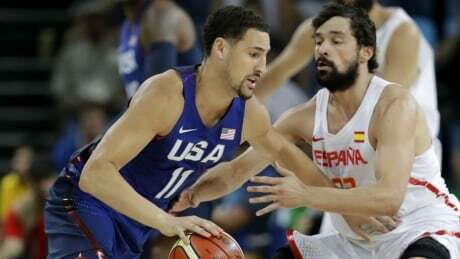 The U.S. men's basketball team has advanced to its third straight Olympic gold-medal game, beating Spain 82-76 on Friday. France eliminated Canada 68-63 in the women's basketball quarter-finals at the Rio Olympics. 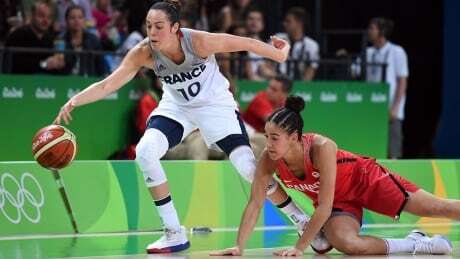 Kia Nurse and the Canadians lost their final two games heading into their matchup with the fourth-ranked French. However, France has looked mortal in its two pool losses. Here are three key factors that could decide which team advances to the semifinals. 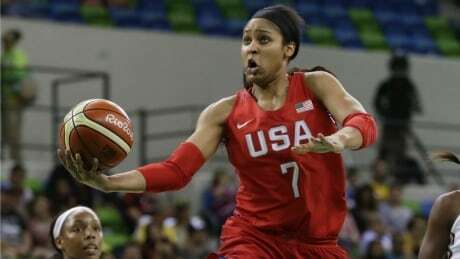 Spain rode a dominant fourth quarter to a comfortable 73-60 win over Canada on Sunday in the final round-robin game for both countries in the Olympic women's basketball tournament. 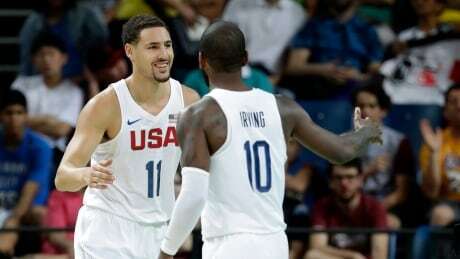 Klay Thompson ended an Olympic-long slump with seven 3-pointers and 30 points, and the Americans needed almost all of them to hold off France 100-97 on Sunday in men's basketball action in Rio. 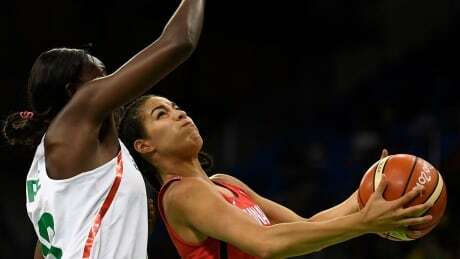 Having already clinched a spot in the Olympic quarter-finals, Canada is looking to secure second place in its group as it takes on Spain in its final preliminary game on Sunday. 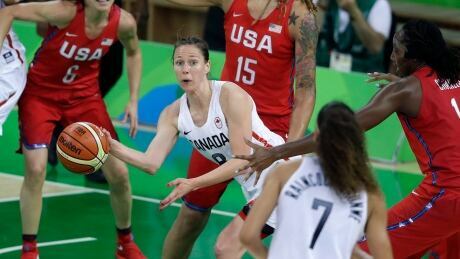 Canada lost 81-51 to the United States Friday in the women's basketball preliminary round in Rio. 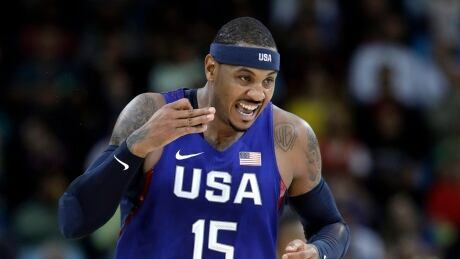 Carmelo Anthony's 31 points helped the United States men's basketball team avoid a seismic upset and defeat Australia 98-88 Wednesday night in Rio. You are currently browsing the archives for the Sports/Olympics/Rio Olympic 2016/Basketball category.